A horrendous situation unfolded this week when 65 dogs under the care of Phil Nelson and his charity Dingo Dogs were evicted from a plot of land near Guia de Isora. 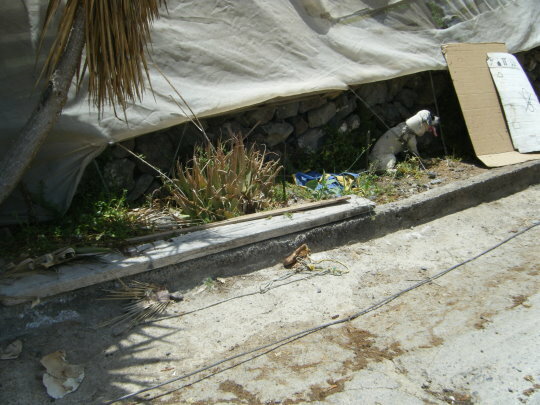 A court order was obtained by the owner of the land, and the Judge then instructed the Ayuntamiento of Guia de Isora to remove the dogs. By law, animals must be transported safely and kept in an clean area, with fresh water, food and access to medicines if needed. 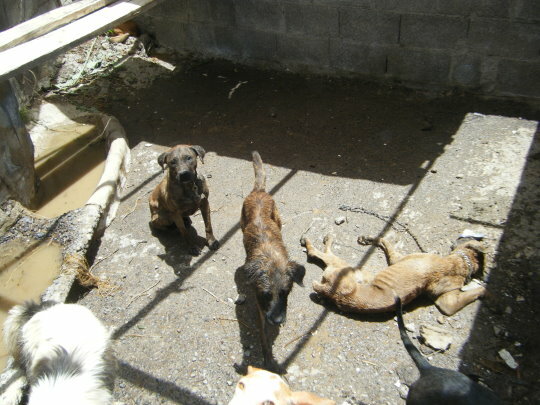 These dogs however were taken to a small place intended for goats, some 10 x 12 metres, with little shade, and no water or food. One dog died within 30 minutes (pictured). Live Arico´s Eugenio was called to assist and found the situation to be horrific. 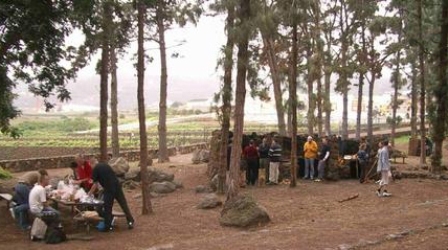 A finca has now been arranged as a temporary measure but they can only stay there for 21 days. 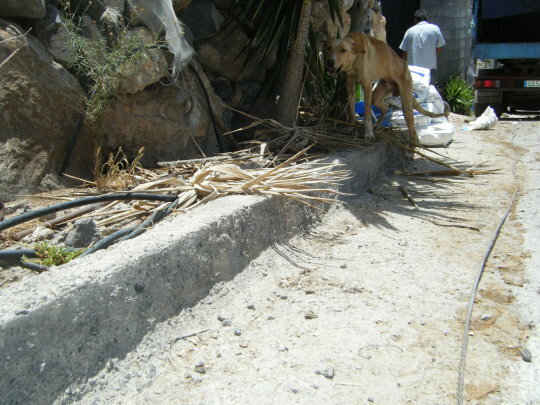 Through FECAPAP (Federación Canaria de Asociaciones Protectores de Animales y Plantas) a denuncia has been made against the Ayuntamiento of Guia de Isora citing the many breaches made in regard to the welfare of these poor creatures, including the fact that no vet or qualified person was present in their transportation. It is expected that this story will make the Spanish news, and Eugenio hopes that, although this situation is diabolical, it will force the animal welfare issue further into the public eye and the powers that be will finally concede that land is urgently needed for an official rescue centre. After all, Live Arico, K9, Dingo´s, and all the other animal rescues in the south exist because the town halls have done nothing about the problem of abandoned animals. A rescue centre has finally been acquired for the North, in El Sauzal, but nothing for the South, and that needs to change, and change quickly given that in a matter of days, these 65 dogs will be homeless yet again. 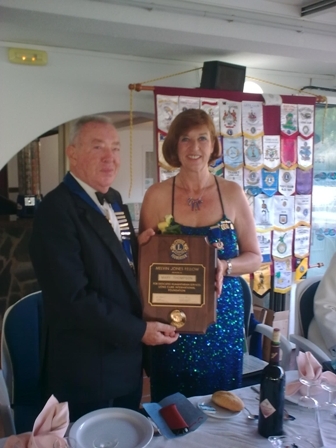 “There was a meeting, this afternoon Thursday 30th July with FECAPAP and Guia de Isora Ayuntamiento. Most of the dogs are going to be taken to the Cabildo´s own refuge in El Sauzal, and the rest divided between the refuges affiliated to FECAPAP, eg Live Arico. €15,000 is to be made available to deflea, worm and vaccinate them and any money left over will be divided amongst the refuges who have taken the animals. Live Arico have taken 3 already. The dogs should be gone from the finca by the weekend. 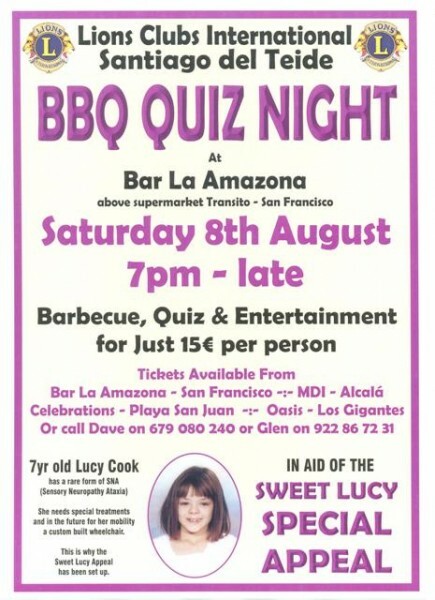 There will be a meeting another meeting tomorrow Fri 31st July, with FECAPAP to discuss the possible purchase of the land in Fasnia, on which to contrust a rescue centre for the south of the island. 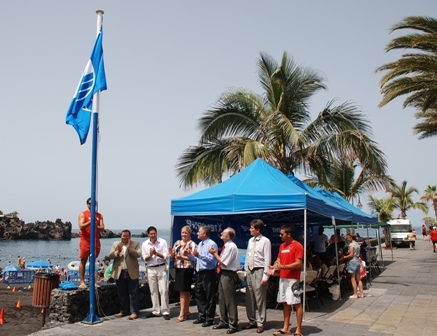 A ceremony was held on Thursday July 23rd with the Mayor, Juan Damián Gorrín Ramos, councilman of Tourism, Germán Jiménez and various hotel and staff from the beach, to officially raise the coveted Blue Flag awarded by the European Union to Playa Arena beach. The beach has become the most awarded beach in Tenerife since 1987 as it has been awarded the blue flag each year for the past 22 years. The Blue Flag is a recognized symbol to stringent health and environmental levels, the presence of adequate sanitation and waste, as well as rescue services, first aid and lifeguard. The mini golf at Tipsy Terrace / Los Gigantes Sports & Gardens is being refurbished and will be closed for approx. 10 days as from today. They are relaying new turf and adding some new fun obstacles. Their web site http://www.tipsy-terrace.com will be updated on a regular basis with photographs of the progress. 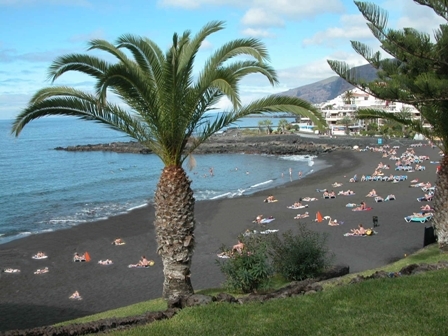 Families visiting the beaches and marine walks of the boroughs of Arona, Adeje, Santiago del Teide and Puerto de la Cruz, will be able to enjoy various workshops about Tenerife and the art of the Guanches (the first island dwellers) and even take part in Canarian traditional sports such as stick fighting and Canarian wrestling. Families will also be able to enjoy music and entertainment by jugglers, mime artists and puppeteers. The entertainment will be in English as well as Spanish. The activity plan for 2009-2010 is focussed around the school vacations of the island’s main customers, Britain, Germany, Spain and the Scandinavian countries. 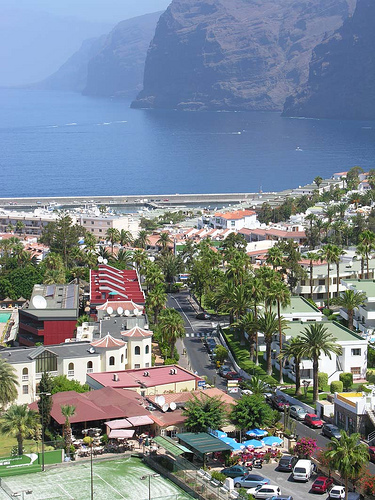 Tenerife’s tourism councillor, José Manuel Bermudez pointed out that, “15 per cent of the tourists who travel to Tenerife are accompanied by at least one under 15 year-old, which make the Island a potential family holiday destination”. Families with minors aged 7-15 tend to be more active than the average visitor and particularly enjoy the theme parks and the whale and dolphin watching trips. 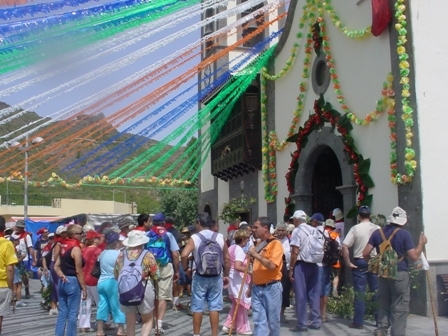 This year’s traditional Ruta Jacobea Tinerfeña from Los Realejos to the Hermitage of Santiago del Teide in El Valle de Arriba is set to take place this weekend on 18th and 19th July. The walk starts on Saturday, July 18th, at 08:00 in the morning from the parish of Santiago Apóstol de Los Realejos where nine Menceyes Guanches were baptised, and follows the route of symbolic places such as el Mirador de La Corona, las coladas del Volcán de Garachico, Los Campeches, la Fuente del Bardo and los Partidos de Franki, finally arriving at la Ermita de El Valle de Arriba at 10.00 on Sunday, July 19th where pilgrims will be received by a fanfare leading them to the Iglesia de Santiago Apóstol in El Valle casco to take part in the mass. Each pilgrim will carry their own backpack and a support team will accompany them with water and first aid.